The New York Knicks are still planning to sever ties with center Joakim Noah ahead of training camp, according to a report from ESPN on Wednesday. The report says the Knicks will use their waive-and-stretch provision to cut Noah sometime after September 1, provided they haven't found a trade partner for the beleaguered 33-year-old prior to then. Scott Perry has been attempting to move Noah but hasn't come close to finding a deal. The $18.5 million salary for 2018-19 still counts toward the Knicks' salary cap, although that number could be reduced if a buyout is agreed upon with Noah, or if NY doesn't waive the set-off in his contract. Noah had his issues with Jeff Hornacek, but it seems as though David Fizdale isn't too keen on opening the door back up for Noah. Phil Jackson signed Noah to a four-year, $72 million deal in 2016. 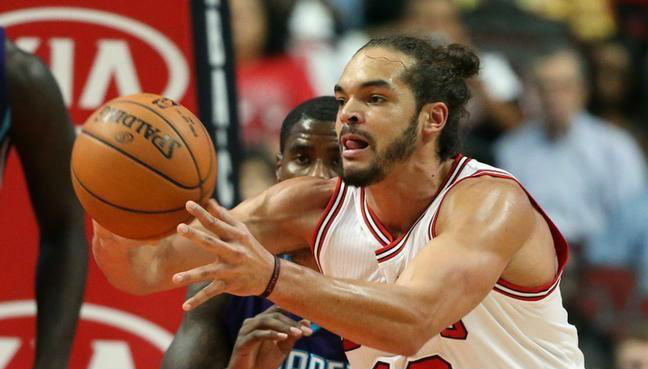 In February 2017, the National Basketball Association suspended Noah 20 games for taking a banned substance - a suspension that cost him the first 12 games of the 2017-18 season. One is to keep Noah and allow him to eat up a massive amount of cap space and a roster spot for the next two years, while not even really being a part of the team.